How can a home bring peace to a neighborhood? Praying for others. What do you see every week that will last forever? People. God loves us. God wants to hear from us. God gives us purpose. We are called to pray for others. Let us join with Jesus in praying for others, according to God’s will and desire, that none should perish. Let us pray for people who do not yet know Jesus as Savior. 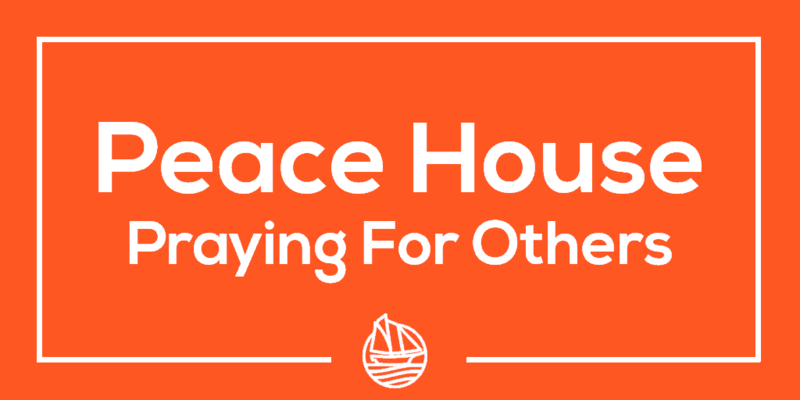 Let us pray for the peace of our neighbors and our neighborhood. Let us pray for their wellbeing and how we may be involved in bringing peace. God help you be aware of His heart toward them. That they may see & hear spiritual truth. May God draw them by His kindness into repentance & faith. What would God have you do? Write out the names of people in your neighborhood and what you are thankful for about each of them. Thank God for placing them in your life. List what prayer topics ___ for each person. Bring that list to God and ask God for change. Ask God to bring each neighbor into His peace. Ask God to bring full health in their spirits, marriages, families, finances. May God help you bring peace into your neighborhood from your homes. May God fill each home with someone receptive to peace. May God lead the decision makers to improve all aspects of the schools. May God help us restore broken relationships between neighbors and organizations. 5. May God continue His redemptive work for every person who is lonely, hurt, and in need.